Cafe Coffee Day is one of the famous name and brand which is available in India. All of you already know about the CCD because it is available in all over India. Few days ago we shared Cafe Coffe Day Free Cappuccino voucher offer & other CCD offer. But today i am going to share another big loot offer Cafe Coffee Day. 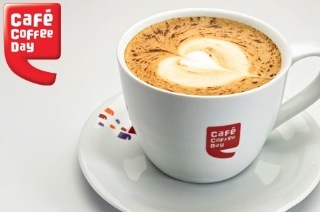 Cafe Coffee Day launched the CCD application for all users and also presented a promotional offer on CCD App. Now just download the CCD app and you will get Rs.100 Free in your CCD Wallet. This is the cool offer for this summer because only downloading of app you get Rs.100 in CCD wallet. Also CCD presented the Refer & Earn offer in which you will get Rs.150 on each referral and also the your friend will get Rs.100 on sign up when they use your referral code. So this one the amazing offer because you can use your full wallet in CCD outlet at the payment time. So hurry up and grab the loot Cafe Coffee Day Refer & Earn offer and earn unlimited money in wallet. UPDATE CCD Referral Code – SHAH91 : Now CCD changed the Referral amount, Now you will get Rs.150 on Sign up (Rs.100+Rs.50). Also you will get free Rs.50 on every referral. Open the app and Click on Sign up. Enter your Mobile Number and verify via OTP. Apply Referral Code – SHAH91 to get Free Rs.100 in wallet. Hurry, Now you will get 100 Beans which is equal to Rs.100. Finally Rs.100 will be added in your CCD wallet. Activate Lime wallet to get total Free Rs.150 in Cafe Coffee Day wallet. You can use your wallet money as payment in CCD outlet (Now this features is extended and available in all over India. So hurry up and loot CCD). Click on Menu then My Balance. Now click on Add Lime Account. Fill in your Name, Date of Birth, Security answer and set 4 digit mpin. Finally you will get extra Rs.50 credit in CCD Wallet. Totally you will get Rs.150 on Sign up. To use Lime wallet Rs.50 Beans you have to add Rs.1 in Lime wallet via CCD App. After adding you can use both Rs.100 CCD Beans + Rs.51 Lime wallet beans. Lime wallet beans can be used on any order. Open the app, Click on top left menu option. Now click on Refer option. Enter your name here to generate the Referral code. Share your referral code with your friends & family. Copy your referral code and share it. On each referral you will get 50 Beans when your friend sign up using your referral code, Also your friend will get 100 Beans at Sign up. You will get more 100 when your friend use app for payment. Finally you will get 150 Beans on each referral. First visit nearest CCD Outlet. Order any Beverage also you can order Cappuccino. Click on Menu > My Balance > Pay > Pay via Beans. Now a QR Code will be generated. Show the QR Code at Counter to CCD Staff. They scan your QR Code via Scanner. Finally Rs.100 will be deducted from your CCD app. Enjoy the order at free of cost. UPDATE : Now you can use Rs.75+Rs.51 (Rs.126) from your Sign up Bonus. If you have Referral money then you can use your full beans. Now Goto CCD App In Apk cloner . Now do the following changes given below. Goto Privacy → Change Android ID, then Create New Android ID then Generate New Android ID in every cloning . In Privacy Click Hide IMEI & Also Tick Hide Mac Address . Go Back , Click Display Option Above Of Privacy . Go To Bottom And Click On Sharing Image On Clicking . Now Go Back And Where There Clone No. is Written Click Three Dots On Side To It . Now Click Batch Cloning . In First Column Write 1 In Second Any No. Till No. Of Clones You Want . You Can Go Till 99 . If Ur Device Is Xiaomi Redmi android Phones, you Can Do Any As Their Ram Is Good . But If Any Other Phone Then I Prefer Max 10 . Now Click Set Badge As Clone No. Now Start Cloning By Clicking On Tick Arrow . When All 10 Clones Are Ready You Can Install Them One By One But Don’t Click Back While Cloning Else Remains Ready Clones Will Be Gone . You Have 10 Clones . Each Have Different Android I’d So You Can Register New Account In Each . Once you used CCD app then Goto Setting & clear the Data of CCD app. Install Device ID Changer & Xprivacy. Open device id changer & click on Random & Apply. You will see full list of app which is installed in your device. Find CCD app in Xprivacy app. Now click on CCD app and open it, you will find so many option. Scroll down the page and click tick on the option Phone, Identification & Location. After that click on menu Left upper corner of dotted line. Click on Setting and scroll down the option page. You will see the option CLEAR and RANDOMIZE NOW. Click on RANDOMIZE NOW option. Now click on Save button, which is in upper right corner. Close the Xprivacy app after Randomize. No Finally Open CCD app, Enter number & OTP use Referral Code – SHAH91 to get Rs.150 in CCD wallet. Use the CCD app at CCD store. Now repeat the above process to get free Rs.150 every time. Just cleat data of CCD app & follow above steps. Enjoy the CCD loot offer. Use KNAG13 for 500 beans. Download the app and get cashback money on paytm and rs100 recharge. Download Cafe Coffee Day App and use referral code NAVI31. You will get Rs 100 in Beans balance and Rs 50 in Wallet. Use this Rs 150 in any CCD store and enjoy your free coffee/drink/shake. Apply Referral Code – RITE71 to get Free Rs.100 in wallet. Use PRAT14 to get free beverage worth of rs 299 in all CCD in Karnataka.guys remembere only Karnataka. All of the code above will work. GET 200 signup . Use code ATHS81 for rs.200 sign up bonus and rs 100 per refer.Thanks. what is the limit of refer and earn ? Use MANI7199 TO GET your first order free…. This special reffer code is useful to save your money…and take enjoy with ccd…. Do we need ROOTED mobile for this trick –> Unlimited Trick To Get Unlimited Money in CCD Wallet or it will work in unrooted mobiles. Hey. Admin , i wanted to ask that the trick of getting unlimited ccd beans , will it work in non-rooted phone ?? any ccd otp seller ? I am unable to add Rs 1 in lime wallet,it tells unsuccessful.All debit card card no is correct.what is the solution for it. try to add Rs.2 in wallet. Hope this will work. We added so Rs.1 so many times in Lime Wallet using MasterCard, Slonkit Card. What is the validity of this offer? Now offer is live & we don’t know when offer will be get expire. Yes only Rs.75+Rs.51(Lime wallet) can be used from Sign up bonus. Referral amount has no limit. Use this unique code MAYA5230 (only used by ccd staff members) to get 251Rs. and you can use more than 75 beans (without any limitation) on your purchase. Offer is for limited time.Hurry up guys! Please Use Hema1279 as the referral code. Now i tried to create lime wallet but app says that we are unable to create lime wallet. Now lime wallet is on axis bank app. Hii admin…will Device id changer and Xprivacy app work in non rooted phones? Plz do reply and if no wats the way out ??? And in root device trick, can put always same number???? I have tried that. It didn’t worked. It will work bro, please share your error. Bro one person cannot have more than 10 or 15 or 20 nos of access in his social or friend circle…. Do u have a trick which works always with same no. Ccd mai lime wallet create hona band ho gya h bro..
You can also create modded apk via APK Editor app, Just download Editor app, open CCD in Editor app & Rename the Version of app in new version & install it again. Bro find a solution for it?